KYIV. 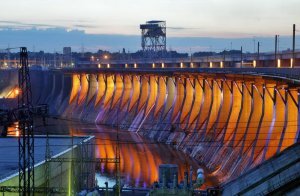 Sept 23 (Interfax-Ukraine) – Public joint-stock company Ukrhydroenergo is considering the possibility of building six hydroelectric power plants on the Dniester River with a total capacity of 324 MW, Ukrhydroenergo Head Ihor Syrota said at the 13th international forum “Fuel and Energy Complex of Ukraine: The Present and the Future,” which was held in Kyiv on Tuesday. He said that the company plans to start realizing the project in 2015-2016. Syrota said that the project is of social importance as it includes the development of infrastructure via the construction of bridges over the Dniester River in Ternopil, Khmelnytsky and Chernivtsi regions. According to the materials of the Energy and Coal Industry Ministry, the total cost of the project to build a cascade of hydroelectric power plants and water reservoirs is estimated at $1.131 billion. The approximate term of the realization of the project is 2015-2024. KYIV. Sept 23 (Interfax-Ukraine) – Public joint-stock company Centrenergo has ordered 160,000 tonnes of coal from South Africa from Swiss trader Mercuria, acting head of Centrenergo Oleh Kozemko said at a press conference in Kyiv on Tuesday. “On Friday we sent the agreement on the supply of coal from South Africa for signing by Mercuria – two boats with 160,000 tonnes… The first boat is to arrive in November,” he said. Kozemko said that it is impossible to maintain the normal passing of the heating season without diversifying supplies. He said that coal from South Africa costs up to $65 per tonne under CIF (Cost, Insurance and Freight) with a calorific value of 5,500 kcal, while the cost of coal from Russia is up to $67 per tonne with a calorific value of 6,000 kcal. He also said that the company is holding a tender to buy handling services for coal supplied from South Africa, although the company has not yet received any bids. The term of the tender will be extended by one week, and if it is a failure, the supplier will handle coal for an extra charge. Kozemko said that the company is to buy 2.207 million tonnes of coal in September-December 2015 (1.102 million tonnes of gas coal and 1.105 million tonnes of anthracite and short-flame coal) to have 566,000 tonnes in stock as of January 1, 2016. He said that there are no problems with supplies of gas coal bought from Vuhillia Ukrainy and State Coal Company. As for anthracite and short-flame coal, there are plans to buy 465,000 tonnes from the Anti-Terrorist Operation zone in September-December 2015, 480,000 tonnes from Russia and 160,000 tonnes from South Africa. He said that purchases of coal from South Africa require an increase in the company’s tariff. “We’ve calculated that the tariff for Zmiyivska TPP will grow to UAH 1.32 in November-December, and the average tariff for the company is UAH 0.92, taking into account supplies from South Africa,” he said. Kozemko said that in the period from October through December 2015, Centrenergo plans to use four units of Vuhlehirska TTP and two units each of Trypilska and Zmiyivska TPPs. He said that at present, coal stocks at the company’s warehouses total 399,500 tonnes, including 256,300 tonnes at Vuhlehirska TTP, 56,800 tonnes at Zmiyivska TPP, and 86,300 tonnes at Trypilska TPP. KYIV. 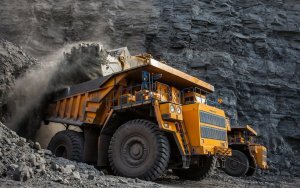 Sept 23 (Interfax-Ukraine) – Skhidny Mining state enterprise (Zhovti Vody, Dnipropetrovsk region) plans to boost uranium concentrate production by 29.6% in 2015, to 1,200 tonnes, Director General Oleksandr Sorokin told reporters in Kyiv on Tuesday. “This growth cannot be classified only as an achievement, as in 2014 well-known events caused problems with the delivery of explosives from east of Ukraine and some materials, we simple did not process a large volume of ore, or formed warehouse stocks, and now we’re making up for leeway,” he said. Sorokin said that the company’s plans for 2016 have not yet been formed, and negotiations with National Nuclear Generating Company Energoatom are being held to define its need for the company’s products. He said that the main growth is production is thanks to high-quality ore from the Novokostiantynivske uranium field, while the Inhulska and Smolynska mines have passed their peaks. He added that ore will be extracted at Smolynska mine for another five years, which will be gradually closed afterwards. “We would take all measures that the settlement of Smolyne and staff who lives and works there have a chance of getting jobs at Novokostiantynivska mine,” Sorokin said. Skhidny Mining is the only uranium ore producer in Ukraine and the largest one in Europe. 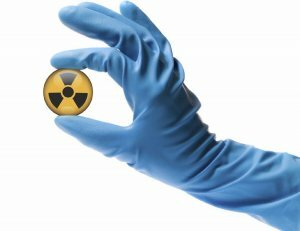 The annual demand of the Ukrainian nuclear power industry for uranium totals 2,400 tonnes, while today the country only produces 1,000 tonnes per year. KYIV. Sept 23 (Interfax-Ukraine) – The League of Insurance Organizations of Ukraine (LIOU), jointly with the German Embassy to Ukraine which is the coordinator of relations between consulates and visa centers of the EU/Schengen zone states and representatives of the insurance market pursuant to Article 48 of the EU Visa Code, has published a list of Ukrainian insurance companies that can insure tourists travelling to the EU/Schengen zone. The league said in a press release that the updated list includes 108 companies-members of LIOU, other associations of the insurance market, international financial groups, and unaffiliated companies. 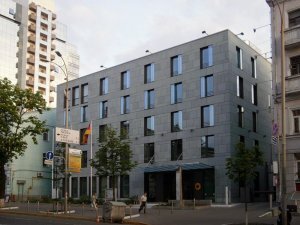 As reported, at a joint meeting of its board and presidium on June 24, 2015, the LIOU approved the procedure for retaining the list of Ukrainian insurance companies that can insurer tourists travelling to the EU/Schengen zone. The procedure took effect on July 1, 2015 and applies to insurance companies-members of LIOU only. KYIV. 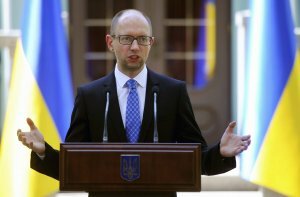 Sept 22 (Interfax-Ukraine) – Ukrainian Prime Minister Arseniy Yatseniuk has said that increased pensions, wages and social benefits in the budget sector will be paid in early October. “As of October 4, retirees will get both supplemental payments for September and increased pensions for October. Increased wages in the budget sector will be paid within the first ten days of October,” he said during the 10 Minutes TV program on Sunday. Yatseniuk said that during the previous week, the Ukrainian parliament had secured a constitutional majority to support a government-prepared bill on raising wages and pensions. “The average increase will be between 13% and 19%. Highly skilled personnel will see a 19% increase in wages, while retirees’ payments will grow by 13%,” he said. “Funds [for the increased payments] will be allocated from the national budget,” he said. At the same time, Yatseniuk said that the local budgets had sufficient amounts to pay increased wages in the budget sector as budget decentralization has let them earn additional 40% in revenue. KYIV. 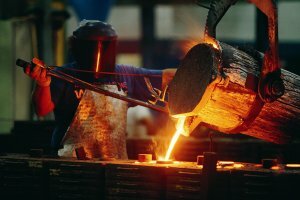 Sept 22 (Interfax-Ukraine) – Ukrainian metallurgical enterprises in August 2015 saw steel production rise by 8.6% compared with July 2014, to 1.919 million tonnes, meaning that the country retained 10th position in the ranking of 65 countries that are the world’s major manufacturers of steel, compiled by the World Steel Association (Worldsteel). Steel production in August fell in most of the top ten states, except for India, South Korea, Germany and Ukraine. The top ten steel producing countries in August were China (66.94 million tonnes, a fall of 3.5%), Japan (8.801 million tonnes, a drop of 5.8%), India (7.66 million tonnes, an increase of 2.8%), the United States (6.999 million tonnes, a drop of 9.7%), Russia (6.046 million tonnes, a decline of 3.2%), South Korea (5.92 million tonnes, a rise of 4.9%), Germany (3.432 million tonnes, a rise of 10.7%), Brazil (2.799 million tonnes, a fall of 5.41%), Turkey (2.563 million tonnes, a drop of 11.8%), and Ukraine (1.919 million tonnes, a rise of 8.6%). Taiwan ranked 11th (1.855 million tonnes, a decrease of 5.7%) and Mexico was 12th (1.52 million tonnes, a decrease of 7.1%). In August 2015, the 65 countries produced 132.337 million tonnes of steel, which is 3% less than in August 2014. Over the eight months of 2015, Ukraine ranked 11th (15.044 million tonnes, a drop of 23.6%). In January-August 2015, the top ten steel producing countries were China (540.594 million tonnes, a fall of 2.1%), Japan (70.242 million tonnes, a drop of 4.9%), India (60.549 million tonnes, growth of 4.1%), the United States (54.01 million tonnes, a drop of 8.5%), Russia (47.778 million tonnes, a decline of 0.2%), South Korea (46.371 million tonnes, a drop of 3.2%), Germany (29.196 million tonnes, a rise of 0.5%), Brazil (22.752 million tonnes, an increase of 0.3%), Turkey (21.291 million tonnes, a drop of 7%), and Taiwan (15.126 million tonnes, a rise of 0.6%). In general, for the eight months of 2015, the 65 countries manufactured 1.078 billion tonnes of steel, which is 9.5% less than in the same period in 2014.